Our team recently completed a beautiful post frame horse barn in Easton, MD. With 23 large size stalls, this equine facility provides our clients with room for growth as they expand their business. As an experienced post frame builder in Maryland, we like to handle every aspect of our projects from conception to completion. This allows us to make sure that every detail is finished correctly and each building we build is a welcome addition to our clients’ properties. This project began when our clients realized the need for more space if they were going to expand their business. 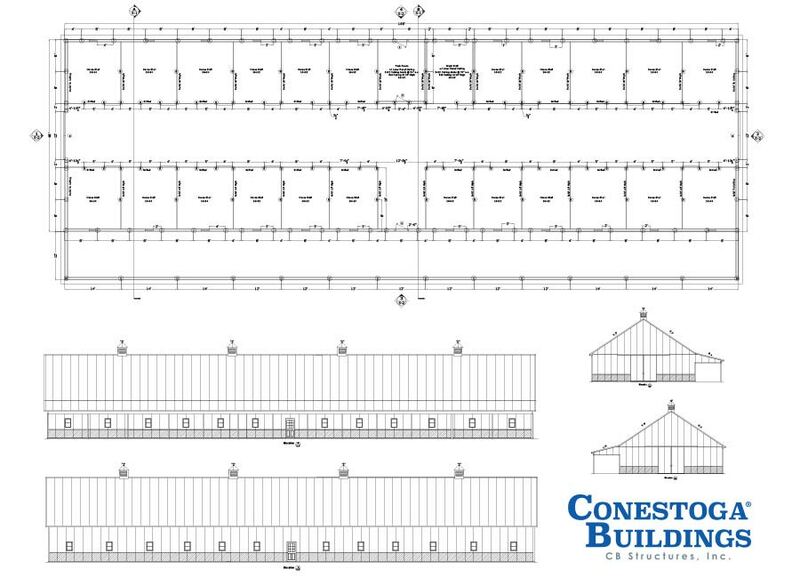 When they chose Conestoga Buildings to help them design their new facility, our top priorities were room for growth and large size stalls that would be attractive to potential riders planning to board their horses at the barn. We also wanted to incorporate additional rooms for feed and tack, washing and storage. The end result was a beautiful horse barn that will serve these clients for years to come. If you’d like to talk to a team member about our design-build services or you’d simply like more information, be sure to contact us today. Our team is happy to help you get started designing the barn, garage or equine facility you’ve always wanted!